Tired of getting tripped up and worrying about cables while being in your game? 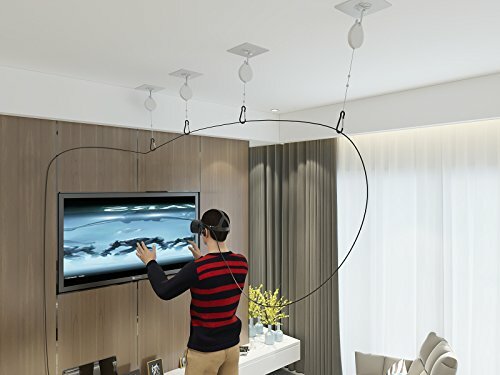 A Retractable Cable Management System is a must have for Virtual Reality Headsets such as the OCULUS RIFT and HTC VIVE and PS4 VR Headsets. Installs in minutes using large Adhesive Pads that work on most surfaces. If you have any questions about this product by Skywin, contact us by completing and submitting the form below. If you are looking for a specif part number, please include it with your message.